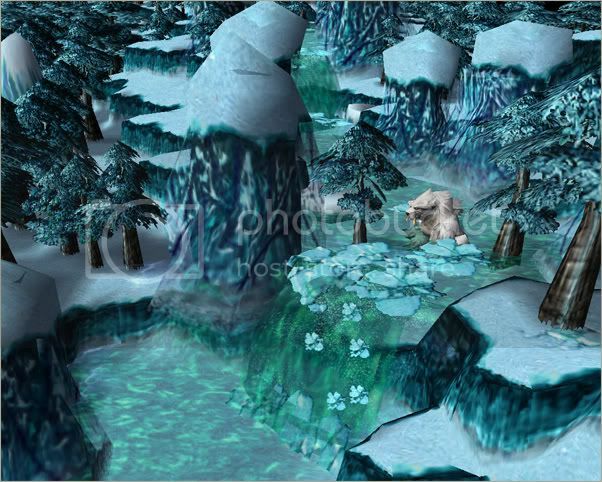 Purpose: This tutorial introduces how to make a beautiful winter scenary and a flowing waterfall. 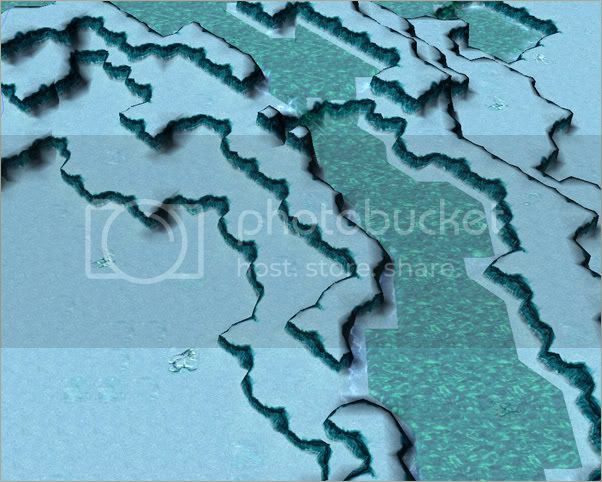 Make a new map, using Ice Crown Glacier landscape, 64x64. Choose initial tile snow. Now, untick enforce water height limits. 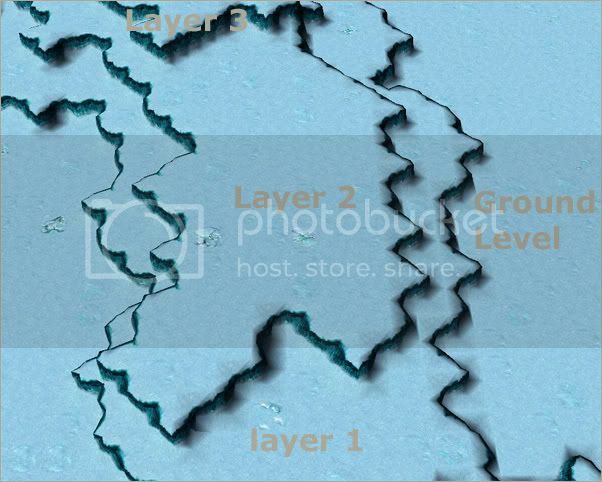 Start by selecting “increase cliff (one)” tool, and making a big, 1 layered and curvy waterfall base. Try not to make it too wide - it has to have 2 layers more. 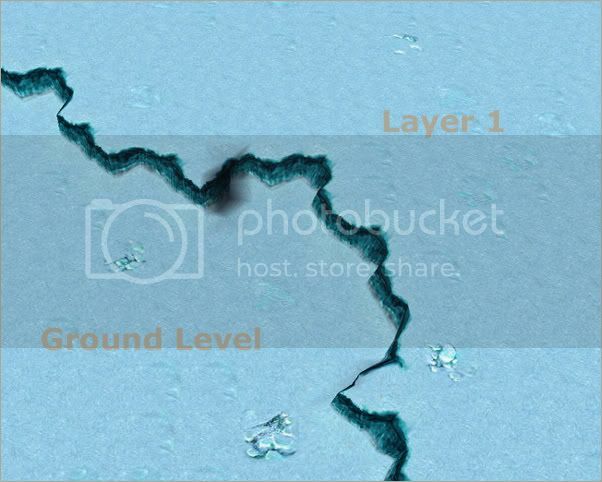 For step 2, start adding shallow water on the layers. Try not to delete all the edges, which surround the water. 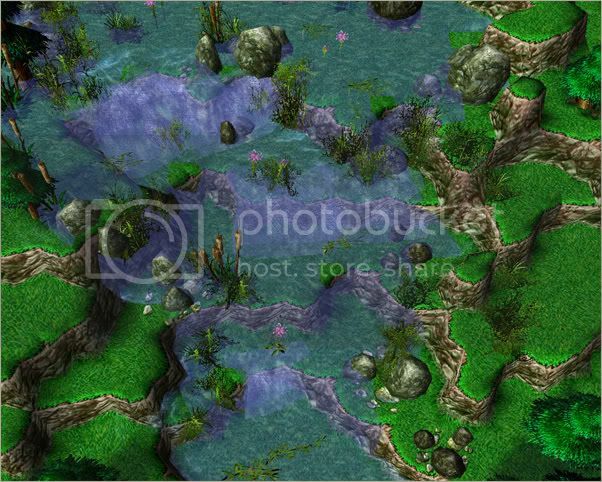 Also, try to avoid very squary looking places (altough they can be hidden). To get rid of most of the squary places, make your river 1 square wider than you want the final product to be, then use the Apply Cliff: Same Level tool to move over the river, making the cliffs go 1 square over the top of the water. If you see this, then you have done everything correctly. As you can see, the waterfall edges are square like and ugly. Start hiding them with doodads. 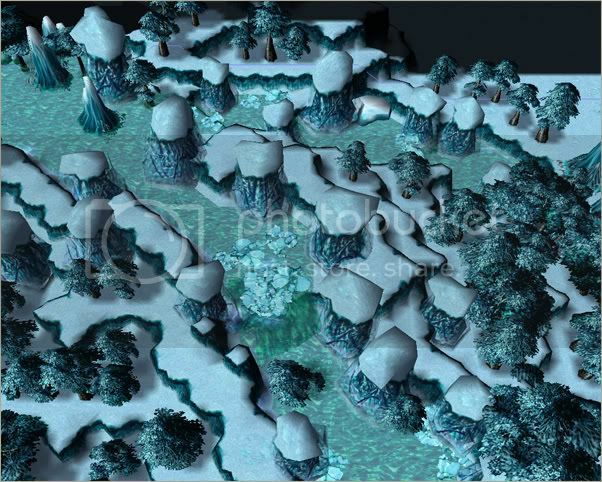 I use icey rocks, some trees, floating ice and other doodads which fit the snow theme and look nice. 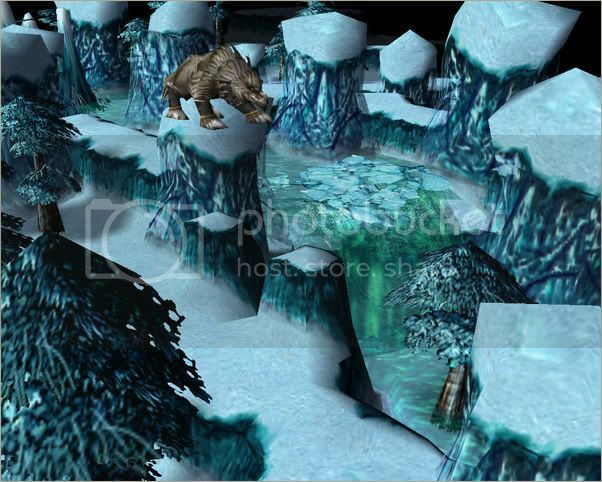 Also, use icey waterfall on the transitions to make the waterfall effect cooler. For final touch, I add a polar bear, lost in the ice cold water, trying to hunt down some sleepy fish. Also a lone wolf on the mountains. For better overall looking, set the global weather to Northrend Snow, which spices up the in-game looks.